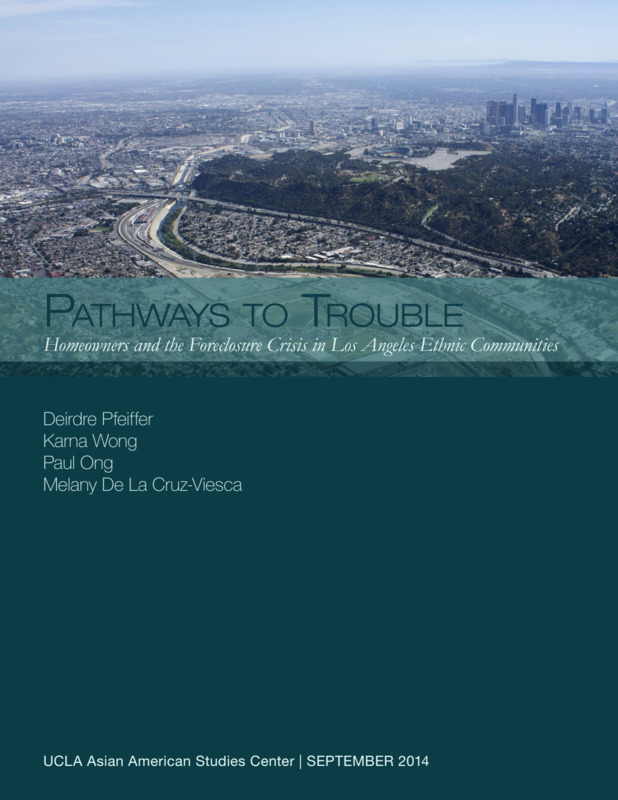 A new study, "Pathways to Trouble: Homeowners and the Foreclosure Crisis in Los Angeles Ethnic Communities" by the UCLA Asian American Studies Center and UCLA Center for the Study of Inequality examines the diverse circumstances and conditions that shaped homeowners' experiences of default and foreclosure in Los Angeles. Not only does this report identify why immigrants and communities of color were at higher risk of foreclosure, but it also reveals strategies to cope and resolve homeowners' housing and financial issues. The report concludes with recommendations to help troubled families and the non-profits that serve them. Consistent with existing research, the report shows that originating risky, variable rate loans without understanding their terms made homeowners vulnerable to undergoing foreclosure. Unemployment or underemployment made it difficult for a household to stay current with their mortgage payments. Loan refinance and modification processes were viewed as a "scam" or "game" by both frustrated homeowners and housing counselors. The study adds to previous research by revealing the unique conditions faced by homeowners from the immigrant experience and the challenges incurred by community-based organizations and housing counseling agencies. 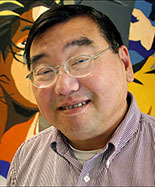 "It was striking to learn how some distressed homeowners in ethnic communities paid for costly and predatory legal and lending services because of the misconception that free housing counseling advice was poorer quality," said Paul M. Ong, co-author, director of the Center for the Study of Inequality and a professor of Asian American studies and the School of Public Affairs at UCLA. Ong further stated, "Most community-based organizations provided quality, no-cost, one-on-one housing counseling, but were underfunded and struggled to meet the needs of the rapidly increasing number of clients." Deirdre Pfeiffer, co-author and assistant professor in the School of Geographical Sciences and Urban Planning at Arizona State University, explained, "The housing crisis was a troublesome time for many homeowners but immigrants faced language and cultural barriers at all stages of homeownership, which made them more susceptible to predatory lending, fraud, and foreclosure." Although foreclosure actions have fallen in recent years, hundreds of thousands of homeowners are still at risk of losing their homes. New home construction and sales have picked up in many regions, with real estate experts and housing policymakers left wondering whether we are repeating the housing boom and bust cycle once again. The study identifies a handful of promising strategies to weather future economic crises. 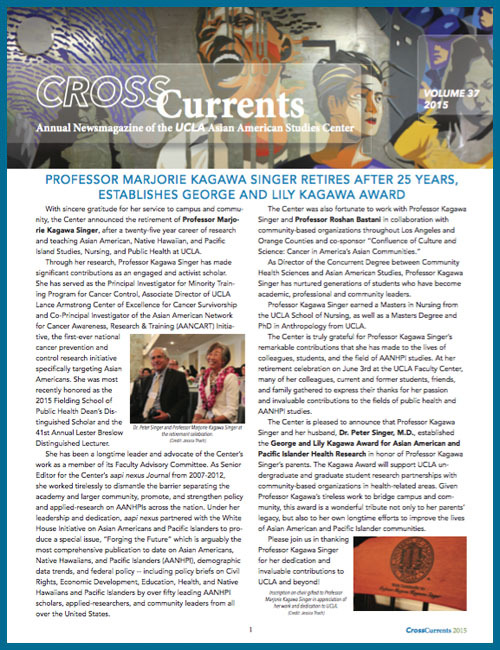 The UCLA Asian American Studies Center, founded in 1969, is dedicated to research, teaching, publications and other endeavors that enrich the understanding of the history, cultural heritage and experiences of Asian-Americans and Pacific Islanders. 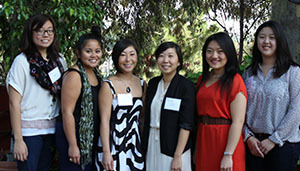 The center is recognized today as the premier research and teaching institution in the field of Asian American studies. The mission of the Center for the Study of Inequality is to generate new information and knowledge about the nature, magnitude and causes of socioeconomic inequality. It is committed to translating academic scholarship into feasible and actionable policies, plans and programs. The Center focuses on these issues and challenges in the Southern California region, and expands its findings through including comparative analysis with other regions.